My article A fate of a visionary diplomat appeared in the Edit Page of The Pioneer. One does not often pay homage to unknown diplomats: hade their advice been followed, the destiny of the nation could perhaps have different. 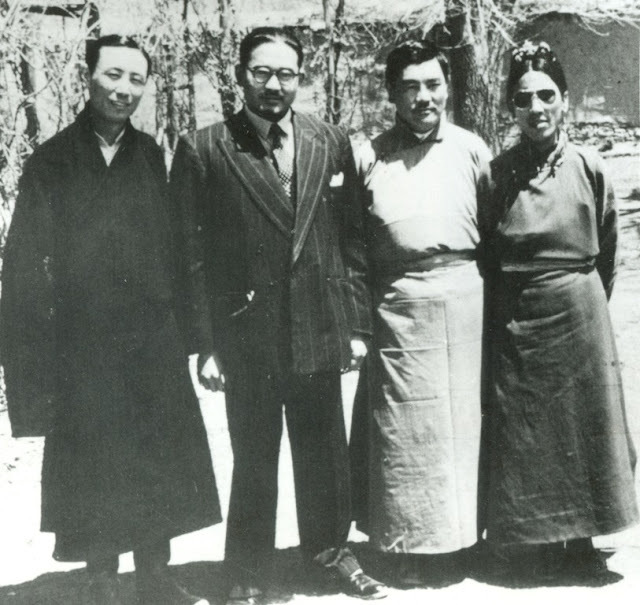 This is the case of Sumul Sinha, the official in charge of the Indian Mission in Lhasa between 1950 and 1952. Five months after forcing a 17-Point Agreement on Tibetan delegates (and forging the seals of the Lhasa government), the Chinese ‘Liberation Army’ (PLA) entered the Tibetan capital in September 1951. During the first months the Red generals were pure honey. Sinha witnessed their changing bheviour and reported to his bosses in Delhi. The young Mandarin-speaking diplomat noted that the Tibetans had started to ‘shed their fears’ and they have again ‘acquired confidence for the future’. 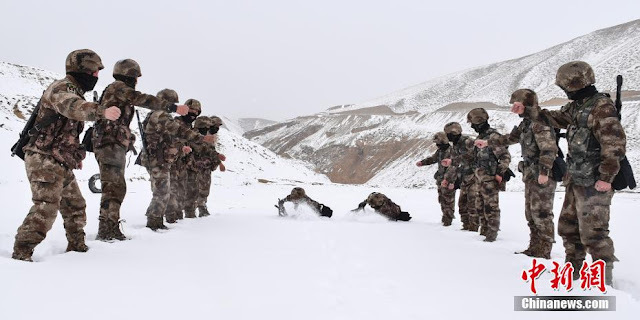 Though eleven months earlier, the PLA had brutally smashed an ill-prepared and disorganized Tibetan Army in Eastern Tibet, perhaps the Chinese were not so bad after all, believed many Tibetans. Sinha explained to Delhi: “Credit is due to the Chinese [general] who with patience and delicacy are handling the problem of leading Tibet into the fold. They had struck terror into the hearts of Tibetans, when the offensive began, and it was then essential to pulverize resistance and gain victory. …The struggle has begun for the mind and soul of Tibet in ways that are subtle and hardly perceptible.” The Chinese largesse at that time was phenomenal. The reaction to Sinha’s cable has to be understood against backdrop of the letter on Tibet sent on November 7 by the Deputy Prime Minister, Sardar Patel to Nehru. Just before the end of his tenure in Lhasa in Summer 1952, Sinha did it again; he upset the Prime Minister. Sinha had the unfortunate idea to ask for a loan of Rs. 2 lakhs to help the forces fighting for Tibetan independence. Six years later, when the Chinese intruded in NEFA and Ladakh, the Prime Minister probably realized that Sinha had been was right, but it was too late. Ever since, every summer, the Chinese cross the line and ‘transgress’ into Indian territory. Che Dalha (alias Qizhala), the head of the Tibetan Autonomous Region’s (TAR) Government (and TAR’s Senior Deputy Secretary) visited Zhayul, north of the McMahon line in the Lohit Valley. Walong, which witnessed the famous battle in November 1962 is located some 50 km south in the same valley. It is in Walong that the 11th Infantry Brigade and in particular the 6 Kumaon of the Indian Army managed to stop the Chinese advances and paid a high price for it. The Chinese too suffered heavy casualties. There is an excellent account on Bharat Rakshak website. The end of the battle is thus described. From three sides, the Chinese poured in artillery and MG fire. But the Kumaonis held till 11 a.m. till the situation became militarily futile and orders were given to withdraw. As Lt. Bikram Singh started extricating his men he was cut down. The Chinese suffered terrible casualties (almost 5 times). By midday all troops were asked to withdraw. Some managed to get back through the treacherous terrain. But many NEVER GOT THE ORDERS. They slugged it out to the last man, to the last bullet. As Brigadier N.C. Rawlley said, "6th Kumaon at Tri Junction fought and fought and fought till there was nothing left. After this there was eerie silence." Sikhs, Kumaonis, Gorkhas and Dogras fought shoulder-to-shoulder to the bitter end. Two months after the cease-fire when the Indians returned they found that the Chinese had marked the positions of the dead. Many of the bunkers showed the dead where they had last manned their weapons. Che, who is also director of the district border defense committee, inspected a Hero Memorial Park in Zhayul area. He told the villagers that the masses should deeply cherish the memory of the revolutionary martyrs. He laid a wreath for 447 Revolutionary Martyrs' War Memorial. The memorial is in the honour of the Chinese soldiers who died during the Walong battle as well as the 'heroes' who fought the Tibetan resistance in the late 1950s. Che, a Tibetan from Yunnan province, is a member of the all-powerful Central Committee of the Communist Party of China. 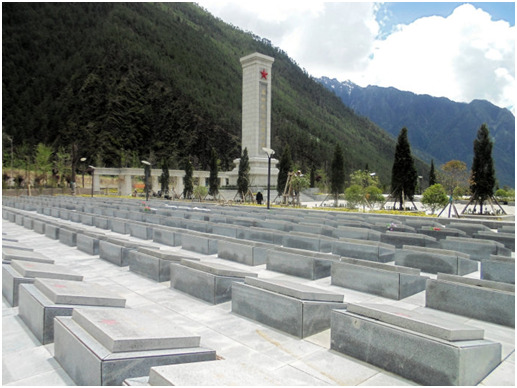 According to The China Daily the memorial consists of a mausoleum, a monument, a memorial hall and a hero wall. It is said the memorial for the 447-revolutionary martyrs' memorial is nestled in a forest of pines and cypresses. There is an engraved plate reading ‘The Revolutionary Martyrs are immortal’. According to the Daily, Che slowly walked around the mausoleum, visited the memorial hall, and paid homage to ‘loyal souls’. He expressed the Party’s high respect for the martyrs, who will be remembered forever. It is necessary, he said, to keep them in mind, learn from them, and receive ideological education and spiritual baptism from them. He concluded by saying that everyone should firmly consolidate the dream of the future, inherit the good Red genes, and not forget the martyrs. 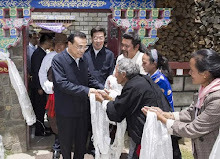 He urged the villagers in Zhayul to watch for strangers or suspicious persons, whether men, women or children; they would have to cross-examine them and send a report to the PLA manning the Indian border. And then he said: "we must stick to the Party’s spiritual ideals; have a firm position and convictions in the depths of our hearts. Strive for a bright future and use faith to create a bright future." Nothing very new, except for the fact that this took place near the Indian border. Che also addressed the border defense forces. He urged them to hold high the banner of socialism with Chinese characteristics in Xi Jinping’s new era; implement Xi Jinping’s strong military ideology and resolutely safeguard and implement the chairmanship responsibility system of the Central Military Commission. He added that all actions must of the society resolutely follow Xi’s command and stand on the side of the Chinese motherland while strengthening the national defense education, supporting the PLA and the masses, promoting the deep integration of military and civilian and educating and guiding the cadres and masses of all ethnic groups to bloom like a Kalsang flower in the snow-covered lands, while conscientiously be a guardian of the sacred homeland and a builder of happiness at home. It is not only Che Dalha who visited the border areas. 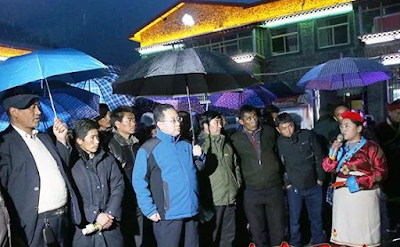 Phurbu Dhondup, the Governor of Lhoka (Shannan), in other words the head the prefectural government, recently ‘inspected’ some border counties of Southern Tibet, particularly in Tsona area, north of Tawang district of Arunachal Pradesh. Some local leaders are not adhering to the Party line? 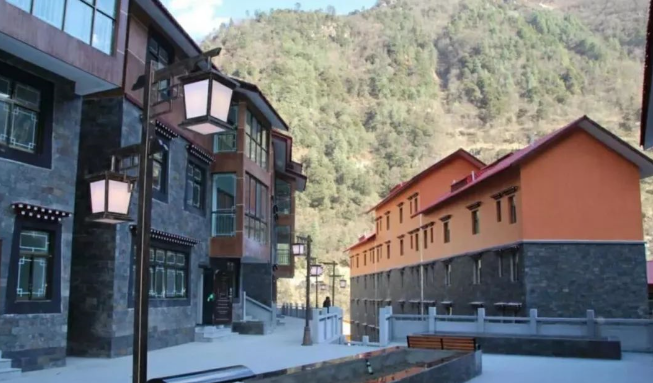 During the recently-concluded National People’s Congress (NPC), Phurbu Dhondup had affirmed that there were 96 border villages under the poverty line in Lhoka Prefecture alone; the prefecture is located north of Bhutan and Tawang district. Inspecting the construction of a new village near the Indian border (Xiaokang Village), Phurbu Dhondup emphasized that everyone must adhere to the 'two directions': the protection of China’s sacred territory and the construction of a happy homeland. Same words than Che Dalha. Phurbu mentioned about the fight for poverty alleviation which should include scientific planning and the respect for the will of the masses; it should a combination of government support and self-reliance. This village, like many others, is a border village, being developed with tourism in mind. The question remains: why so much interest for the Indian borders? Post-Doklam, Beijing has probably realized the importance of the border populations in case of a conflict with India. And more than 60 years after the ‘liberation’, many of these areas still live in poverty. The Communist leadership is banking on mass tourism to change this. Radio Free Asia (RFA) has reported that the Chinese authorities have seized some farmland near Lhatse in Central Tibet to build a new airport. The displaced Tibetan villagers would have been offered far less in compensation than the land is worth. 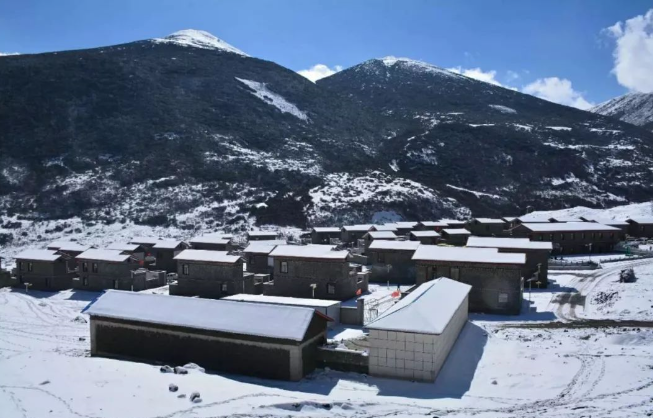 According to a plan announced by officials in the Shigatse prefecture and the regional authorities of the Tibet Autonomous Region (TAR), the airport will be built on land belonging to the Yushang village of Chusha municipality (Lhatse county of Shigatse Prefecture). 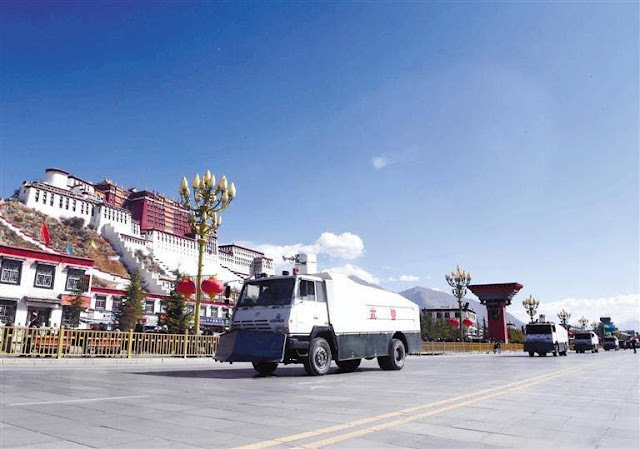 But for Beijing, tourist development appears to be the main tool to get Tibet out of poverty. 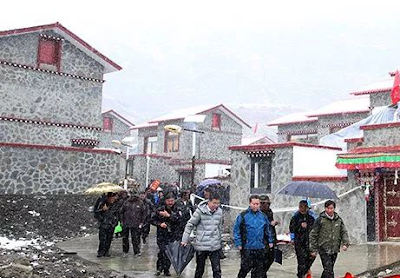 In a recent interview with China Tibet Online, Wu Yingjie, the TAR Party secretary was asked how he intended to solve the problem of poverty in Tibet, “alleviating poverty is an arduous task. How can Tibet overcome difficulties and help people of all ethnic groups get out of poverty?” was the question. Lhatse falls under the last area. If the TAR administration has to intervene, it means that there might be security issues and that the poverty is real a big issue in and around Lhatse. Whether the population is Lhatse has the power to impose their will is another issue. This means that ‘poverty’ is really a problem in Tibet today. The new airport in Lhatse, apart from creating resentment among the Tibetans, has clearly two purposes. One is to defend China’s border, the other one is to bring tourism in the area to further develop this area and Western Tibet (Ngari region). The trade with Nepal, south of Lhatse will be an important bonus. Incidentally, the railway line on its way to Kyirong (and the Nepal border) should soon be arriving in Lhastse. By bringing more Han tourists in the area, can China increase the happiness to the local population? It is not sure at all. PS: The new airport will also give a boost to the campaign “Winter tours in Tibet－enjoy the world's third pole”. 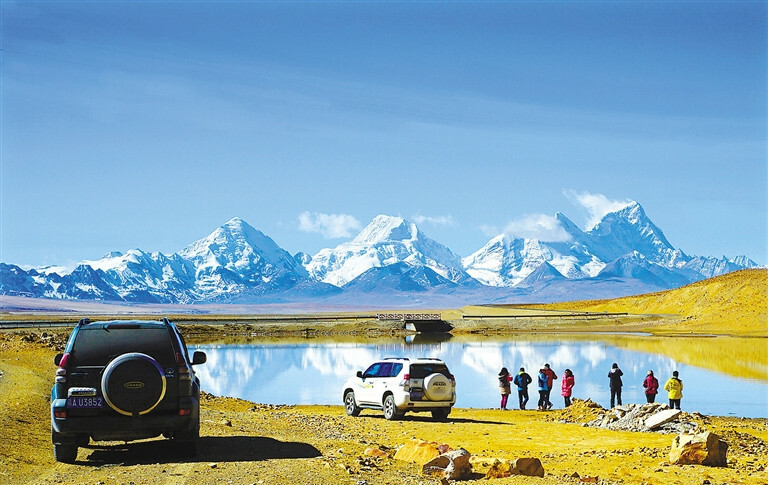 A Tibetan website asserted that Tibet has recently started promoting an initiative called "Winter tours in Tibet－Enjoy the world's third pole”. It affirmed that some preferential policies will "cover administration, transportation and tourist attractions." Will China force India to wake-up? Not sure, the elephant is always thick-skinned and slow; the dragon is definitively swifter. It does not augur well. Some fifteen years ago, a Chinese engineer Li Ling and a retired PLA General Gao Kai, seriously worked on a scheme for the diversion of the Yarlung Tsangpo/Brahmaputra. 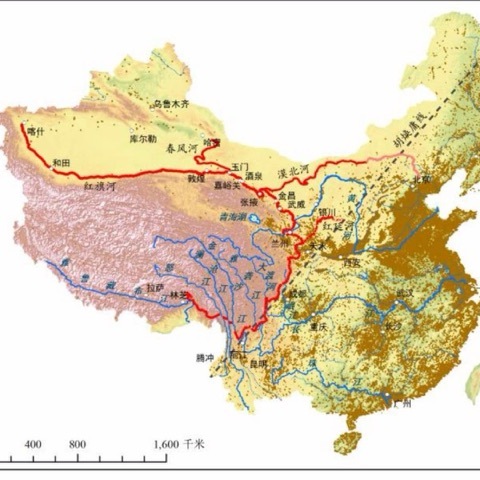 Li Ling published a book called Tibet's Waters will Save China in which he detailed the diversion project, also known as Shuomatan Canal (from Suma Tan in Central Tibet to Tanjing in China). At that time, 'experts' denounced the plans of Li Ling and Gao Kai. Beijing also decided to cool down India’s legitimate worries. In 2006, the Chinese Water Resources Minister Wang Shucheng, a hydraulic engineer, affirmed that the proposal was "unnecessary, unfeasible and unscientific. There is no need for such dramatic and unscientific projects." The Chinese media also criticized Li Ling's book Tibet's water will Save China. Nobody took the project too seriously. Today the situation is different, Prof Wang Hao mentioned in my article is the main proponent the new diversion scheme; he is Chairman of the Expert Group on Dialogue for the ‘Red Flag River Issue’. Wang is a respected academician of the Chinese Academy of Engineering, and honorary director of the Water Resources Institute of the China Institute of Water Resources and Hydropower Research. He is also Vice President for China of the Global Water Partnership; Deputy-Director, Academic Commission of China Institute of Water Resources and Hydropower Research (IWHR) and a member of the Science & Technology Committee of the Ministry of Water Resources. He is an alumnus of the famous Tsinghua University. He did his B.Sc. on Irrigation and Drainage Engineering, from the Department of Hydraulic Engineering, Tsinghua University (April 1978－July 1982) and his M.Sc. on Hydrology and Water Resources from the Department of Hydraulic Engineering, (August 1982－March 1985). Later he earned his PhD in System Engineering from the Institute of Economics and Management of the same Tsinghua University. When the Cultural Revolution began in 1966, many university students walked out of the classrooms, and some went on to be part of the Red Guards, resulting in the complete shutdown of the university. It was not until 1978, after the Cultural Revolution had ended, that the university began to take in students again. Even so, Tsinghua University remained in the top tier of schools in China. Since the 1980s, the university has incorporated a multidisciplinary system. As a result, several schools were re-incorporated. These included the School of Sciences, the School of Economics and Management, the School of Life Sciences, the School of Humanities and Social Sciences, the Tsinghua Law School, the School of Public Policy and Management, and the Academy of Arts and Design. Who was seating on the same benches than Wang Hao when the University reopened after the Cultural Revolution? One Chen Xi was there. Chen is today member of the Politburo of the Communist Party of China. Chen is also Secretary of the Secretariat of the Communist Party of China, and President of the Central Party School. From 2002 to 2008, Chen served as the party chief of the University. Later he was vice-minister of education and Vice Chairman of the China Association for Science and Technology. Wang and Chen know each other from the 1970s. “Chen was recommended to attend the prestigious Tsinghua University as a ‘Worker-Peasant-Soldier student’, where he earned a bachelor's degree. At Tsinghua he was friends with Xi Jinping, who was also attending Tsinghua at the time. Incidentally, Chen was born in September 1953, Prof Wang is a month younger. Another famous alumnus from Tsinghai University is born in 1953 (June). His name is Xi Jinping. From 1975 to 1979, Xi studied chemical engineering at Beijing's prestigious Tsinghua University as a ‘Worker-Peasant-Soldier student’, where engineering majors spent about one-fifth of their time studying Marxism–Leninism–Mao Zedong thought, doing farm work and "learning from the People's Liberation Army". That is why the present diversion scheme is far more serious than the previous one(s); he may have the backing of many in the academic world and the Party. The scheme, presented by Wang Hao and his group of scientists, should not be dismissed like the previous one prepared by two old nationalist fools (Li Ling-Gao Kai Plan). Further, as mentioned in yesterday’s article. China has tremendously progressed in the technological field, making it easier to realize on the project ground. The problem is the project economically feasible? This article The Tibetan Factor in 1962: The importance of stable operation base was written at the end of last year and published in a defense Journal. As the 19th Congress approaches, the Chinese authorities have banned foreigners to travel to the Tibetan plateau from October 18 to 28. During this period, the Congress, which is expected to the nominate a new leadership, will be held in Beijing. Why is China so nervous about its ‘border areas’? To understand this, it is important to look at the Tibet factor in the 1962 China-India war; it is indeed an angle which has been insufficiently studied. We have a fairly good idea why China suddenly decided to inflict the worst possible humiliation on the Nehru’s government, as well as the ‘political’ compulsions which pushed the Great Helmsman into this win-win venture for China; all this however does not explain why the conflict was so short. The internal struggle within the Chinese Communist Party between 1959 and 1962 and Mao Zedong’s declining power after 1959, due to the man-made famine triggered by the Great Leap Forward, give some indication of Mao’s drive which ended in an armed conflict in October-November 1962. But why did Beijing decide to suddenly put a halt to the conflict hardly after a month, at a time China was winning on all fronts? One obvious reason is the forthcoming winter, but the political instability on the plateau is an issue which played a non-considerable role. Mao’s attack against the Soviet Union was also directed at India, considered as a ‘lackey of Moscow’. During the Tenth Plenum of the Party's Eighth Central Committee which followed the Beidaihe Meet, Mao's theoretical argument continued: “China was facing a danger of capitalist restoration that had to be fought through relentless class struggle”. Marshal Peng Dehuai, who had submitted an appeal for his political return , was further accused of different crimes such as colluding with the Soviet Union and other ‘reactionary forces of the world’. This still does not explain the unilateral cease-fire suddenly announced by China. During the same speech at Beidaihe in August, Mao delivered a diatribe against the Panchen Lama and his critics about the Communist actions in Tibet. The young Lama, who had been made Chairman of the Preparatory Committee for the Tibet Autonomous Region (TAR) when the Dalai Lama left for India in 1959, had dared to criticize the policies of the Party in Tibet. The Tibetan factor, influencing the weakness of the supply lines to the Indian front was a major issue for the People’s Liberation Army (PLA); at the end of 1962, this impeded longer military operations against India as discontent was brewing on the Roof of the World. This appears unmistakably in the 70,000-character petition sent by the Panchen Lama to Zhou Enlai and Xi Zhongxun in April 1962. The Chinese Premier requested Xi Sr., Li Weihan , General Zhang Jingwu , General Zhang Guohua to read and study the Panchen Lama's petition. The Panchen Lama listed several problems such the ‘suppression of the Rebellion’ in March/April 1959. 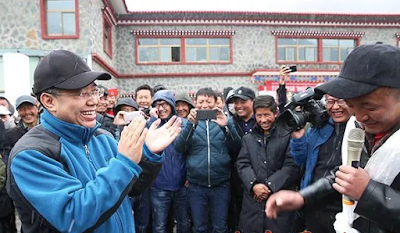 Each time, after agreeing with the official line, the young Lama criticized it: “The rebellion in Tibet was counter-revolutionary in nature, being against the Party, the motherland, the people, democracy and socialism. Its crimes were very grave. Thus, it was entirely correct, essential, necessary and appropriate for the Party to adopt the policy of suppressing the rebellion. However, when these points were implemented…” And then he mentioned the grievances of the Tibetan population. Then he took on the ‘Democratic Reform’, the ‘Production in Agriculture and Animal Herding’, ‘Livelihood of the People’, the United Front policy for the ‘nationalities’, ‘Democratic Centralism’, the Dictatorship of the Party and finally the most important for him, the freedom of religion. Each time, he used the same pattern. The Panchen Lama paid a heavy price for having dared to write what everyone knew. But his letter was termed a ‘poisonous arrow’ by Mao. It should be pointed out that a longer war would have been very difficult to sustain in the atmosphere of 'rebellion' prevalent on the Roof of World. It is crucial to understand Tibet’s instability to fully comprehend the ‘short’ Sino-Indian border war. Though openly siding with the 'reformists' camp led by Lui Shaoqi and Deng Xiaoping, the Panchen Lama was also warning the Communist leadership of the resentment of the so-called minorities. Some new historical documents concerning the 70,000-character petition sent by the Panchen Lama to Zhou Enlai and Xi Zhongxun have recently been translated into English. The Panchen Lama bitterly describes the situation in Tibet. The transcripts make fascinating reading. In the Summary of a Meeting between Comrade Xi Zhongxun, Comrade Li Weihan and Panchen held on June 21, 1962 in The Great Hall of the People in Beijing, Nehru and India are several times cited. ‘Implementing reform’ meant forcing on the Tibetans an unwanted ideology. This obviously created a great resentment amongst the masses. It has to be noted that according to Chinese figures 87,000 died in the first week of the ‘suppression’. For Communist China, ‘anti-rebellion work’ was the ‘base’ of the so-called ‘Liberation’. Xi admits: “we must strengthen our unity, and unite every person that can be united. If this work is not done well, Dalai will laugh at us, and Nehru will laugh at us too. Don’t give them a chance to amuse themselves by our failure.” The 1962 conflict was a way for Mao to ‘reunite’ the leadership, though Xi Zhongxun himself was purged a couple of weeks later; one of his crimes: he had probably not spoken strongly enough against the Panchen Lama. Tibet however remained in turmoil and in these circumstances, it would have been dangerous to plan longer operations against India in 1962. 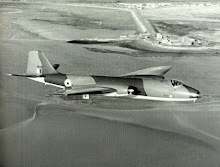 A question can be asked, has the situation improved during the last decades. The answer seems to be ‘no’. In 2015, Tibet celebrated the 50th anniversary of the foundation of the so-called Tibetan Autonomous Region (TAR) with great pomp. All was well in the Middle Kingdom? But to analyze the situation on the Roof of the World, one has to look beyond the glamourous function in front of the Potala Palace and look at the program (and speeches) of Yu Zhengsheng, the chairman of the Chinese People's Political Consultative Conference (CPPCC); Yu, a member of the Standing Committee of the CCP is the official responsible for the ‘minorities’. Side-visits often speak more than grandiose parades. Yu Zhengsheng met the representatives from the PLA and the People’s Armed Police Force (PAPF) posted in Tibet. The defence forces should uphold the correct ‘political direction’ and exert a larger role for safeguarding border stability and ethnic solidarity. Stability seemed to be the new Mantra of the Land of Snows. Even in the monasteries, the Sutra of Stability is recited, Nirvana can wait! The recent banning of foreign visitors demonstrates that the situation has not improved over the last two years. While the ‘asymmetry’ may be in China’s favour in many fields, there is one domain where India is far in advance on the Middle Kingdom; it is the people’s participation in the State’s governance through fair and open elections. Though Indians elections may look ‘chaotic’ from Beijing, the process brings an obvious stability to India. This is absent in China, which is fast becoming a police State. In August 2016, at the end of the annual closed-door meeting held at the beach resort of Beidaihe, an official statement announced that Zhang Chunxian would be replaced by Chen Quanguo as party secretary of the restive Xinjiang Uyghur Autonomous Region (XUAR). Chen was then serving as party boss in the Tibetan Autonomous Region (TAR), where he had shown his skills to forcefully ‘pacify’ the restive Tibetans. More than a year after his appointment in Xinjiang, Chen is using the ‘Tibetan recipe’, a good dose of repression mixed with an opening to ‘tourism’, to bring some wealth to the local population. The situation however remains extremely unstable. In January 2017, the Chinese media reported that eight people had been killed in a violent attack in Pishan county of Hotan Prefecture in Southern Xinjiang. According to the local Government, three knife-wielding men attacked and stabbed several people. Subsequently, the police shot dead the three attackers and ten others were injured. The fast development of the China Pakistan Economic Corridor (CPEC) may bring more trouble for Xinjiang as the State-sponsored terrorism in Pakistan is bound to percolate north. The situation in Xinjiang is so tense that the Chinese authorities have ordered all motor vehicles in Bayingol Prefecture to have mandatory satellite tracking devices installed. On February 27, more than 10,000 Peoples’ Armed Police (PAP) paraded in the streets of Urumqi, Xinjiang’s capital. The authorities spoke of a rapid-response system to quell unrest. During the rally, helicopters hovered around the city, while armored vehicles threateningly patrolled the streets of the capital. It was the fourth such massive display in one year. On the occasion, Xinjiang's Party Secretary Chen Quanguo told the PAP that they must realize the ‘grim conditions’ facing the region. The fact is that today the Middle Kingdom’s periphery is unstable and Beijing does not know how to handle the situation (except by increasing the repression and offering a few economic carrots). But, more repression automatically brings more resentment; a vicious circle! In October 2017, it was even reported that Koran and prayer mats have been confiscated in some districts. 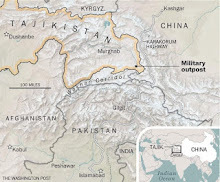 It should be noted that the most restive areas are located close to the Indian border north of the Aksai Chin; recent large military parades in Hotan and Kashgar were synchronised with the one in the capital, Urumqi. Part of the ‘recipe’ is a new wave of infrastructure spending. But will it work? Another issue is ethnic representation in the PLA. Though Xi Jinping, the Chairman of the Central Military Commission, has recently undertaken a complete overhaul of the defence forces and new faces have appeared on the scene, very few ethnic faces can be seen. Ethnicity still plays a negative role in PLA promotions; though there is a slight rise in the number of ‘ethnic’ delegates at the 19th Congress (six per cent of the delegates are ethnic minority officers, from 4.6 per cent in 2012), their number is relatively small and they don't occupy important posts. The Manchus and the Tibetans will send three delegates each, while the Uyghur, Hui and Tujia will each put forward two. Many consider this as the PLA’s Achilles’ heel. Two Tibetan ladies, Kalsang and Sonam Dolma made it in the list though their qualification or designation is unknown. Their presence in the Congress will probably be for ‘ethnic’ representation only. It is, however, worth noting that the list contains a Tibetan Major General, Thupten Trinley serving as a deputy commander of the Tibet Military Region. Thubten Thinley is born in December in Lhasa in 1961. In July 1987, after spending three years in the lower ranks of the PLA, he was admitted to the Communist Party. Prior to joining the military, he completed a four year university course and gradually climbed the PLA echelons in the departments of political propaganda, military recruitment and the promotion of military-civilian relations. Between January 2001 and March 2003, he attended training classes at the Central Party School in Beijing and in April 2005; this probably helped him to become responsible for preparing for the induction and assignment of new troops in the Tibet Military District (TMD). Between January 2006 and September 2008, he attended again some courses in the Graduate School of the Central Party School. In March 2013, he was promoted to PLA Deputy Political Commissar in the TMD before becoming in June 2014, Deputy Commander of the TMD. His main job is probably the recruitment of Tibetans in the PLA. That China is conscious of this endemic weakness and one way to solve it would be to recruit more and more Tibetans in the PLA. Will it work is another issue. Home Minister Rajnath Singh, during a recent forward area tour to the border areas in Uttarakhand, told PTI that a group will be soon constituted to conduct a study on various aspects of the border areas which need improvement. 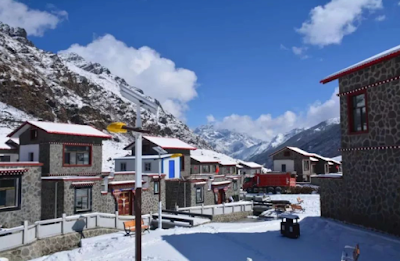 The Centre is planning to set up a study group to analyse the security and development issues along the China border, with a special focus on involving the frontier population in the mainstream of the country. The group will also look at ways to further expedite the work of completing border roads in these states. This realization and later an implementation of new policies would go a long way to get a strategic advantage on China, which is far from getting the local populations in Tibet and Xinjiang on its side. In case of a long conflict, this could make the decisive difference. 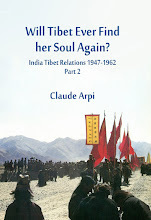 The Last Months of a Free Nation — India Tibet Relations (1947-1962) is the first volume of the series, using never-accessed-before Indian archival material. 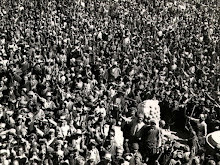 Though Tibet’s system of governance had serious lacunas, the Land of Snows was a free and independent nation till October 1950, when Mao decided to “liberate”it. But “liberate” from what, was the question on many diplomats' and politicians' lips in India; they realised that it would soon be a tragedy for India too; Delhi would have to live with a new neighbor, whose ideology was the opposite of Tibet’s Buddhist values; the border would not be safe anymore. It is usually assumed that Sardar Patel, the Deputy Prime Minister wrote his “prophetic” letter to Jawaharlal Nehru, the Prime Minister, detailing the grave implications for India of Tibet’s invasion. In fact, he used a draft sent to him by Sir Girja Shankar Bajpai, the Secretary General of the Ministry of External Affairs and Commonwealth. Bajpai, deeply upset by the turn of events, had also sent his note to President Rajendra Prasad and C Raja-gopalachari. Delhi again repeats its “philosophical” position: it would be bad for Beijing to invade Tibet: “The Government of India would desire to point out that a military action at the present time against Tibet will give those countries in the world which are unfriendly to China a handle for anti-Chinese propaganda at a crucial and delicate juncture in inter-national affairs.” Delhi is convinced that “the position of China will be weakened” by a (Chinese) military solution. On October 17, the Indian Ambassador receives the full details of the Chinese invasion of Tibet. South Block confirms that Tibet has been invaded, it was “brought to our notice at the request of the Tibetan Government in a message sent through our Mission in Lhasa,” says a cable from Delhi. The next day, Panikkar continues to argue against the invasion having happened; he says that out of the incidents to which Lhasa has drawn Delhi’s attention, only one appears to be new. …When on October 31, Sardar Patel wrote back to Bajpai: “The Chinese advance into Tibet upsets all our security calculations. 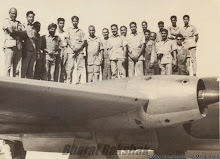 …I entirely agree with you that a reconsideration of our military position and a redisposition of our forces are inescapable.” A few days later, Bajpai would write a note for Patel who sent it to Nehru, who did not even acknowledge it… Patel passed away five weeks later. Are we witnessing a Trumpisation of the Indian Foreign policy? Some signs tend to show that, like the US president, Delhi is too often changing its stance, principally in its relations with China; though ‘destabilization’ of the opponent might not be the prime Indian motivation, as in the American case. Take the program ‘Thank you India’, planned by the Central Tibetan Administration (CTA) in Dharamsala. 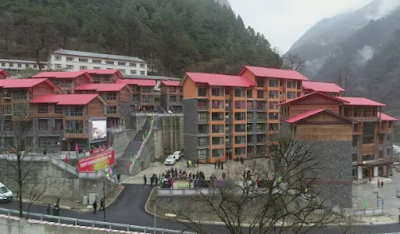 On February 22, Foreign Secretary Vijay Gokhale wrote to Cabinet Secretary PK Sinha, advising Indian government officials, including ministers, to skip the events organized by Dharamsala. 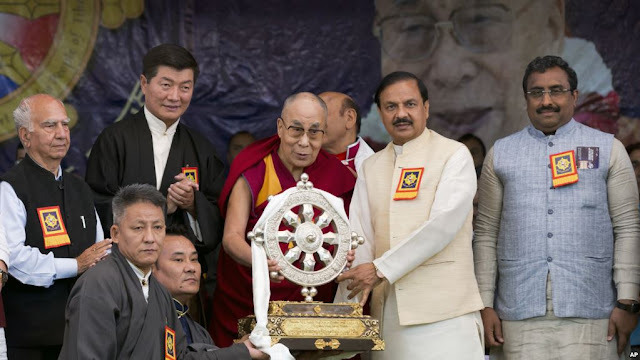 Sinha obliged and ministries were informed to stay away from a function to celebrate the 59th anniversary of the arrival of the Dalai Lama in India. The Indian and foreign press abundantly commented on Sinha’s ‘leaked’ missive. The MEA apparently said that it was not supposed to have been ‘leaked’, but India is an open society, such things are bound to happen. Now, despite the missive, two government representatives attended the function which had in the meantime been shifted to Dharamsala. Union Minister for Culture Mahesh Sharma and BJP general secretary Ram Madhav participated in the Dalai Lama’s ‘Thank you India’ programme. Gokhale had personally met the Dalai Lama and Lobsang Sangay, the Tibetan ‘president’ to ask them to move the celebrations outside Delhi. China was certainly delighted by the circular, even though it has not incited Beijing to be ‘nicer’ to India or accept compromises on any of the contentious issues between the two nations. For the last 60 years and more, each time India has kowtowed, China has given nothing in exchange. The best example has been the Panchsheel agreement; during the four-month negotiations in 1954, India surrendered one by one all its rights in Tibet, and hardly one month after the signature of the accord, the People’s Liberation Army started intruding in Barahoti, in today’s Uttarakhand, while a road was being built on Indian territory, in the Aksai Chin area. Has any lesson been learnt? There is no doubt that the high profile Tibetan event in Delhi would have irritated China, but why could the government have not discreetly informed the Office of the Dalai Lama and the CTA, that important visits were due in the coming months (Defence Minister Nirmala Sitharaman, External Affairs Minister Sushma Swaraj and the Prime Minster will soon pay visits to China) and that Delhi did not want any provocation which could trigger a new Doklam when the snows melt. South Block has a Liaison Office, with a senior officer posted in Dharamsala to communicate with the Dalai Lama and the CTA. The logical approach was to send a message to the Tibetans explaining the situation. It has also been said that the November 2017 clandestine visit to China of former Tibetan Prime Minister Prof Samdhong Rinpoche, had irritated South Block. The Chinese government would like the Dalai Lama to accept that Tibet has always been a part of China. That would create serious problems for India as it would mean that the McMahon Line, agreed to by independent Tibet and British India on the side of the Simla Conference in 1914, would have no legal worth. It is however doubtful if the Dalai Lama will ever concede something which is blatantly untrue. It is also true that the CTA has not always been sensitive to India’s problems. When during the Doklam standoff, Lobsang Sangay unfurled the Tibetan flag on the shores of the Pangong Lake, bordering Tibet in Ladakh, it was not of very helpful to cool the tempers at the trijunction. In the meantime, deep reforms are taking place in China. For example, the United Front Work Department which deals, amongst other things with Tibet, has been given an increased importance, taking-over the State Council Overseas Office, the National Ethnic Affairs Commission and the State Administration for Religious Affairs. Observers expect that it will translate into a tighter control over religion and ethnic issues, in particular in Tibet and Xinjiang. This has implications for India. As for the ‘Thank you India’ program, one way for the Tibetans to ‘thank’ India would be to reassert the Indo-Tibet borders in places such as Demchok, Chumar or Barahoti. In the meantime, ‘Trumpisation’ will not help anybody …except China.